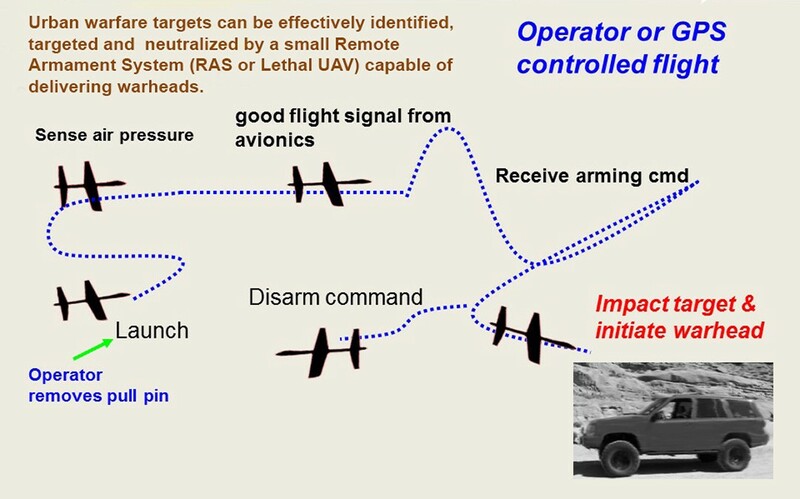 If the operator of an unmanned aerial vehicle sees a valid target, the operator will send the “ARM” command to the fuze through the Ground Control Station. When the fuze has completed generating its firing energy, it will send the status back the GCS to let the operator know that the fuze is “ARMed” and ready to fire the explosive. The operator will control the UAV to home-in on the target by using automatic GPS guidance or manual control by joy stick. For any reason after the Fuze was “ARMed” and the UAV mission is aborted, the operator can send a “Disarm” command to the UAV and bring the UAV back to base. Three engineers from the U.S. Army Armament Research, Development and Engineering Center were granted a U.S. patent for their work on a universal “smart fuze” for unmanned aerial vehicles (UAV) and other remote armament systems. “Improvised explosive devices (IED) and urban warfare have wounded and killed many war fighting Soldiers,” said Lloyd Khuc, one of the patent recipients. “By using a small Remote Armament System (RAS) camera and sensors capable of delivering warheads, we can neutralize the IED and urban warfare targets,” Khuc said. Khuc, along with Nicholas Cali, and Daniel Vo, received notification that patent number 9,410,783 was approved Aug. 9, 2016, roughly two years after the application was filed. Engineers with the Munitions Engineering Technology Center are shown with a unmannaed aerial system that incorporates a patent from Picatinny Arsenal for a universal “smart fuze” for unmanned aerial vehicles and other remote armament systems. 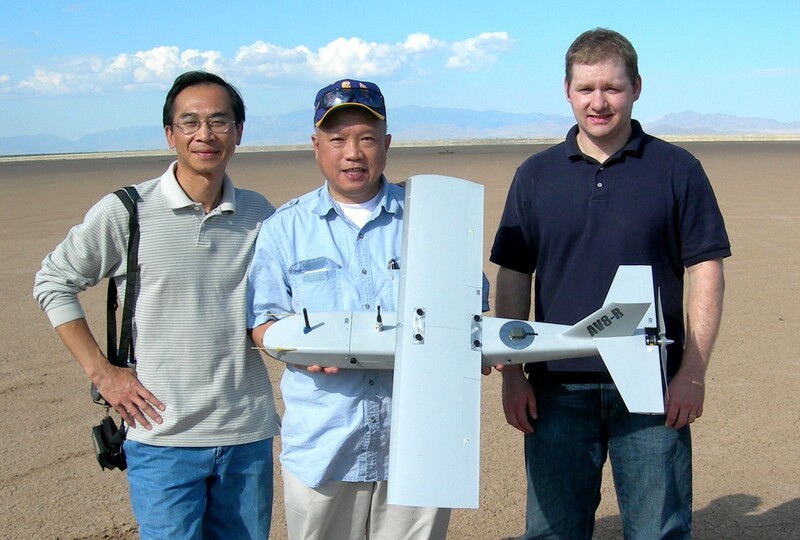 From left are Project Offficer Daniel Vo and fuze engineers Lloyd Khuc and Jason Marabell. The technology center at Picatinny is part of the larger Armament Research, Development and Engineering Center. “There currently are very few man-portable UAVs that can effectively identify and neutralize light-armored targets through the utilization of energetic warheads while minimizing collateral damage,” Khuc said. In current combat methods, Remote Robot Systems (RRS) may be fielded to various degrees to replace humans for surveillance, reconnaissance or patrol operations in hostile areas. Troops utilize many RRS types with cameras that, individually or together, can identify hostile targets. However, such RSS systems are not now equipped to also eliminate such dangerous targets. Therefore, Soldiers must often still place their lives at risk to destroy these targets after they have been identified by RRS or by drones. This remains as a great risk to human life. Therefore, there is a strong demand for a lethal drone that, during the same mission, can both identify a hostile target and also then be activated to attack to defeat that target. There is also a need to decrease total response time for attempting to destroy such targets through such RSS systems, and also to meet safety requirements. After careful study of the problem, the trio of engineers began working on a solution. The team of engineers wanted to create a solution that would reduce threats in the urban warfare environment where IEDs have become common. Engineers at Picatinny Arsenal have patented a “smart fuze” to be used on remote weapons systems such as this drone shown during testing. “Many war-fighting Soldiers were killed by IED in the Iraq and Afghanistan war so we keep thinking the methods to protect the war fighter by detecting and neutralizing the IED,” Khuc said. “Using the robot or Unmanned Aircraft Vehicle (UAV) which has the camera, fuze, and warhead provides the ability to remotely detonate a low-cost explosive charge to defeat the IED from a safe location without putting any Soldiers in danger. “The lack of such tactical capabilities constrains the warfighter’s ability to function in an urban environment where the targets might be in areas where the potential for civilian casualties is relatively high,” Khuc added. The Lethal Unmanned Aerial Systems (L-UAS) program is the first step toward generating a solution. 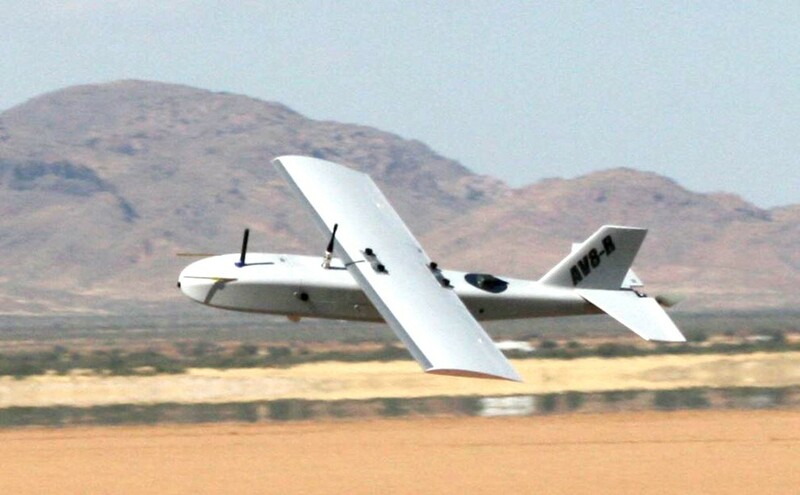 “The members of this team added the requisite level of lethality to a pre-existing UAV platform by designing as well as integrating a programmable fuze and warhead assembly into such a platform,” Khuc said. The U.S. Army Armament Research, Development and Engineering Center is part of the U.S. Army Research, Development and Engineering Command, whose mission is to provide innovative research, development and engineering to produce capabilities that provide decisive overmatch to the Army against the complexities of the current and future operating environments in support of the joint warfighter and the nation.